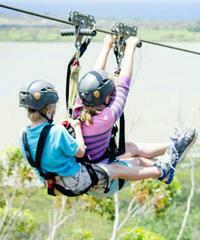 Koloa Zipline is an Eco Friendly Tour that is located on Grove Farm lands. Their 8 line Zipcourse will travel through and above a variety of ecosystmes. 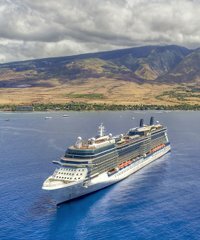 Guests will fly through the jungle, soar above the forest, and glide across the water. 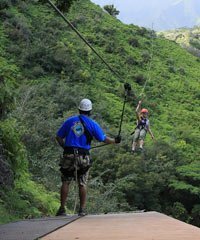 Koloa Zipline has now officially opened their 1/2 mile long Waita line. The Waita line glides across the Waita reservoir; the largest reservoir in the State of Hawaii. Koloa Zipline very much an Eco Friendly Tour, they are currently working with the County on making each area around each Zipline a Botanical Garden with native Hawaiian plants. Guests will be able to purchase plants and plant them if desired for the reforestation program. A very unique program.